Burn video to DVD/ISO/Blu-ray/BDMV folder. 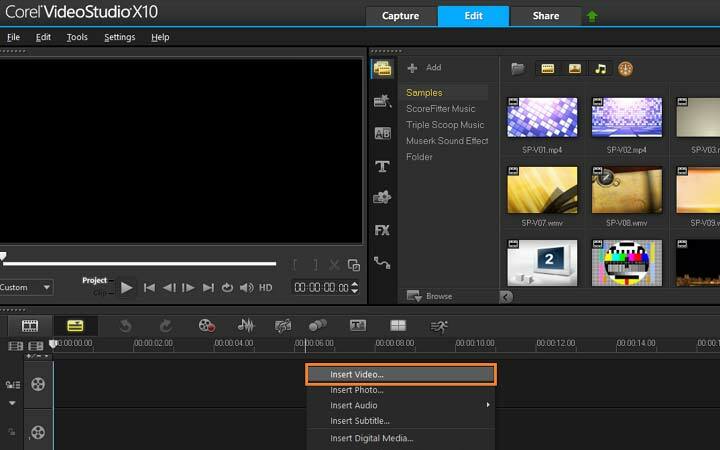 Built-in editor to personalize videos. 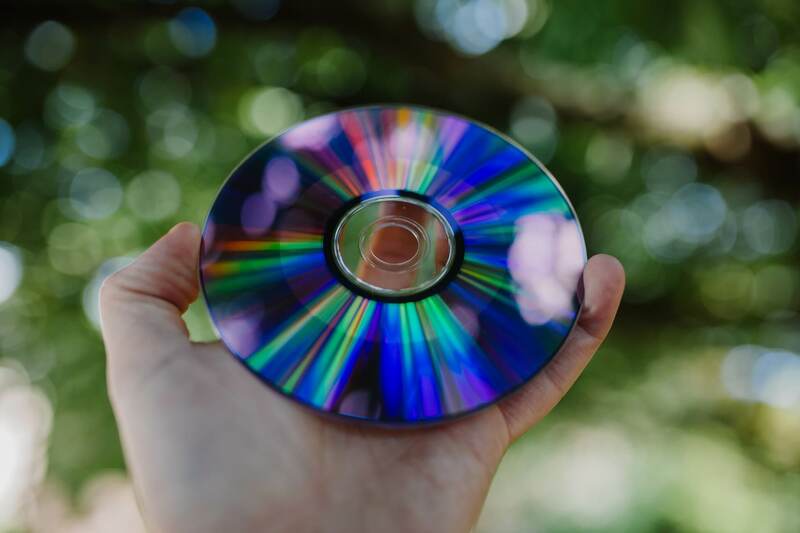 With advanced and innovative technology nowadays being popular and widespread, many people have found a way to use excellent media and entertainment platforms like DVDs. DVDs are produced by a DVD maker software where you can create, transform and store your favorite video, be it a collection of remarkable movies or a business slideshow proposal. DVD maker software is used to make a digital video disk which can be played by a DVD player or a DVD drive on your laptop and computer. DVDs are the cheapest alternative as a storage device for watching movies and videos with your family, friends and relative. Based from many reviews, here are the top 11 best DVD maker software in no particular order. 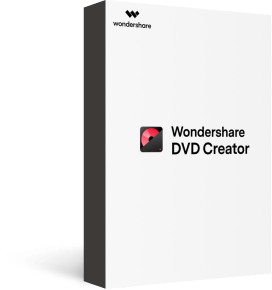 Wondershare DVD Creator is an easy-to-use DVD making software which enables you to make your own DVD within steps. With the abundant built-in fashionable templates for your DVD menu, you are able to create a stunning DVD than ever. · Burn videos and pictures in any format to DVD/ISO/DVD Folder/Blu-ray DVD. · Attractive toolbox with functions of ISO to DVD, Burn Data Disc, Slideshow Maker, Video Editor, DVD to DVD, DVD to Video, One-click to burn Blu-ray Disc, etc. · Customize DVD menu with different parameters like picture, music, text, thumbnail, chapter, and others. · Offer 100+ free static and dynamic menu templates with Movie, Family life, Sport, and more styles. · Build-in editor to personalize videos easily by Trimming, Cropping, Adding subtitles, Applying effects and more. · Convert videos or images to DVD with super fast speed and high-quality output. · Supported OS: Windows 10/8/7/XP/Vista/2003, macOS Mojave 10.14, High Sierra 10.13, Mac OS X 10.12, 10.11, 10.10, 10.9, 10.8, 10.7, 10.6. Install and launch Wondershare DVD making software on your computer, choose Create a DVD Video Disc option from the interface. Click the + icon under the Source tab to search and import videos present on your computer. You can also simply drag and drop desired videos to the program. All added files will appear on the left column as thumbnails. Click the pencil-like icon on the thumbnail to open the Video Editor window, from where you can crop, trim, rotate videos, or add watermarks, effects, subtitles on your video as you like. 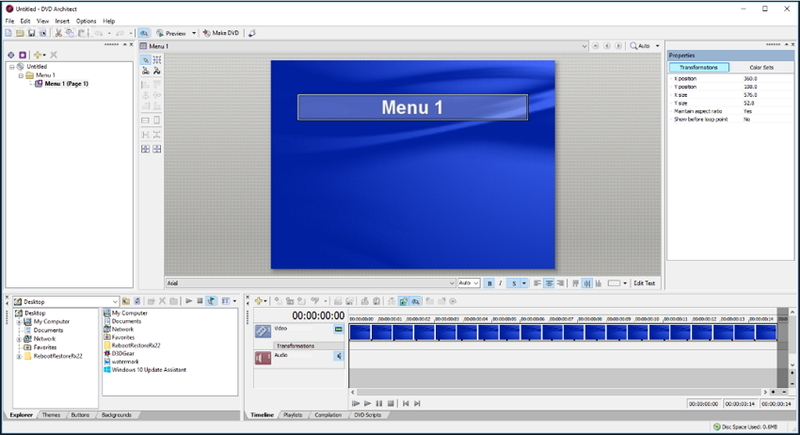 After completing video editing, move to the Menu tab and select a menu template design for your DVD. There are 100+ free templates with different styles on the right interface, double-click to apply your favorite one. For further customization, hit the icons as below to change background music and picture, add text, create chapters, etc. After all changes have been done, go to the Preview tab to check your creation. If anything you're not satisfied, just back to the previous options to make adjustments. Move to Burn tab and insert a blank disc into your PC. Choose Burn to disc option and finish Burn Settings as the window shows. Finally, click the Burn button to start burning videos to DVD. As one of the most popular DVD maker software in the market, Roxio MyDVD is not complex to use but a powerful tool to use on your DVD creation. 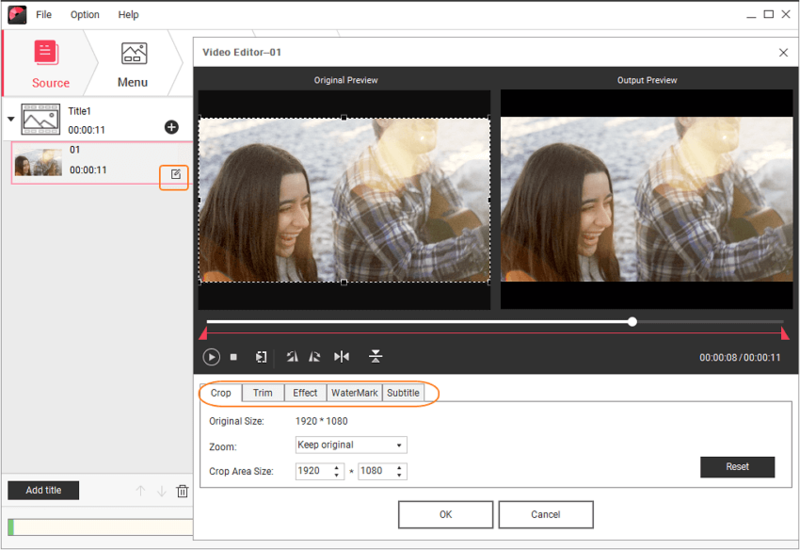 You can automatically modify its templates to transform videos and images to achieve the right visual effects, color contrast, and the right rotation of your videos. With regards to sound quality of your videos, it can help reduce or completely eliminate background noise for its clearer understanding. It has also a feature called Mobile Photofit where you can adjust the size of high resolution photos for mobile gadget displays and for sharing it in social media sites which only has limited size requirement for uploading videos. 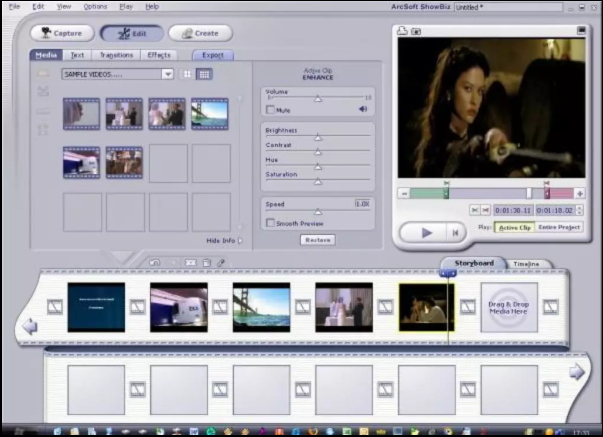 DVD-lab PRO features a wide range of DVD modification. The good thing about this software is that, it can offer a free version for beginners in video making. However, for professionals, DVD-lab PRO should be purchased at a certain amount so that they can unlock more features that will let them put various aspects on the video like flicks or ratios with audio streams. Professional video makers will reach a high-end production with the use of this software which will satisfy their standards. 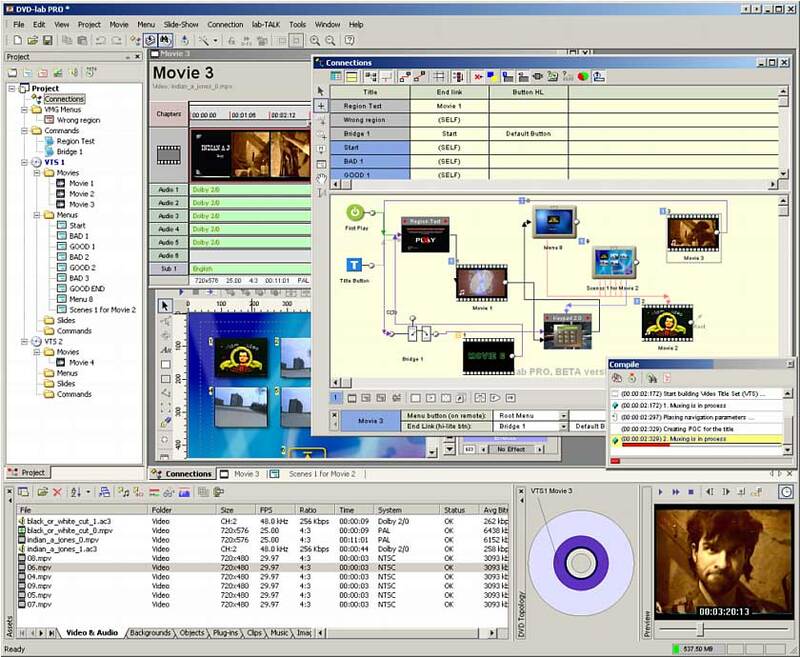 This software is specially designed to let you burn movies in a DVD with a customized theme on your DVD menu. 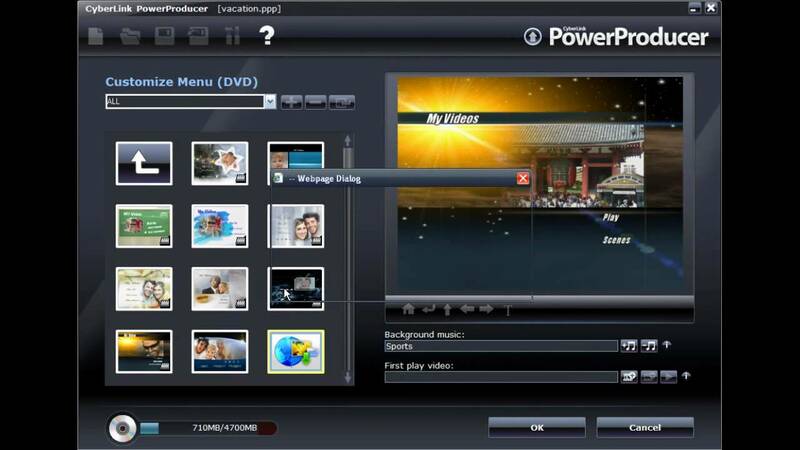 The main edge of this software over the other DVD maker is the fact that it provides many DVD menu templates with free versions. You can edit videos on its built-in editor before burning them. Any video and audio format can be burn into DVD through this best DVD making software. 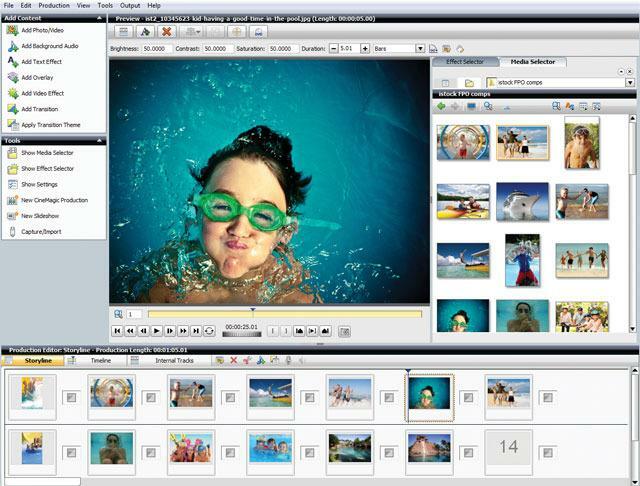 Slideshows can also be created by importing photos and burn to DVD as well. PowerDirector 13 DELUXE is also one of the best DVD making software available today. This is also a golden award winner of the best DVD making software that effectively impacts the balance between functionality and usability. 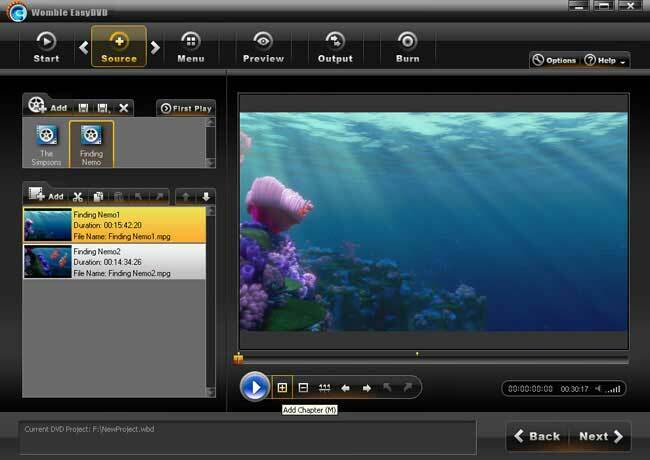 In minutes, you can make high-quality videos with its MagicMovie tools. 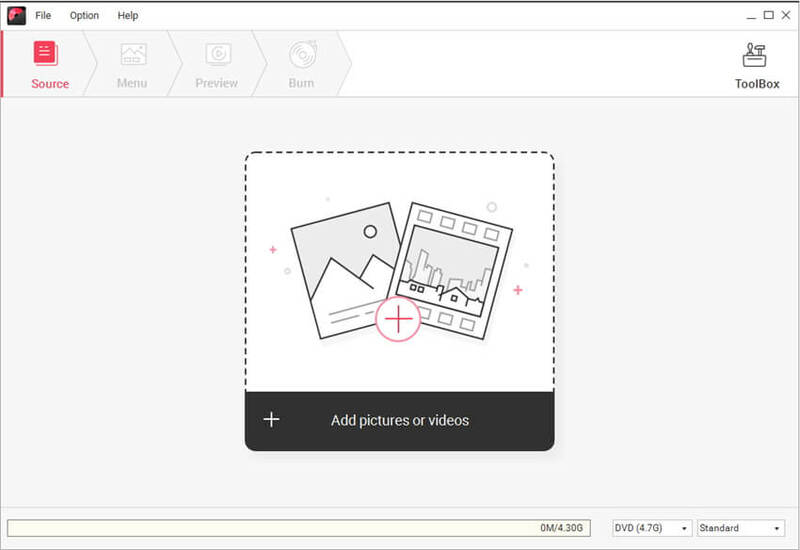 After choosing the photos and videos with its templates you want to use, PowerDirector can handle other improvements. ArcSoftShowBiz DVD is DVD authoring software that offers a simple storyboard outlook for a more professional timeline look and video classification which enable you to control transitional effects, movie clips and audio tracks better. It has also a picture slideshow expert with a complete set of DVD authoring facilities for editing your videos and make it high-end. Power Producer is considered as one of the most flexible DVD maker that can do more functions than an ordinary authoring software. Its disc utilities is directly connected to the disc tools and avchd support. 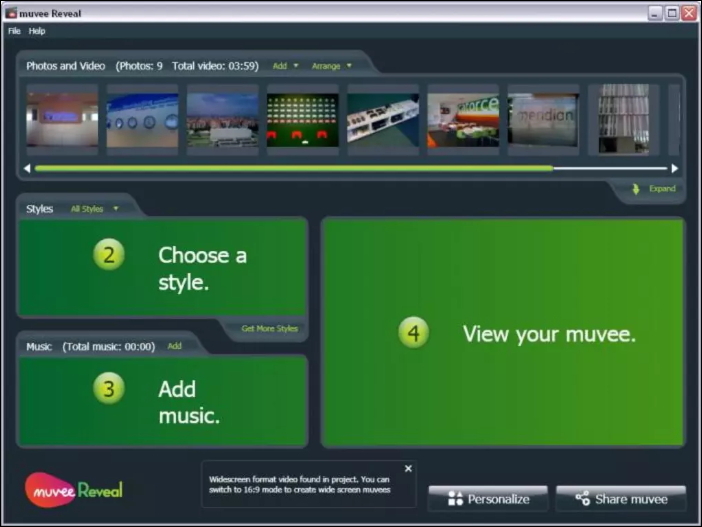 The unique feature of this DVD maker is known as the Member Zone where users can upload and download numerous themes and templates from the development of different members just for free. Here, you can have a menu centered DVD, a photo slideshow or a combination of both that is perfect for a dynamic and colorful DVD creation. Corel DVD MovieFactory Pro 7 is the best DVD making software that has a Holly-wood class effects and gesture menus. It specialized templates can make your videos more appealing and elegant for a DVD production. It has the most advanced tools where you can record directly to disk, make music disks and back up this files so that you can play it easily on avchd discs and DVDs. Muvee Reveal X is another DVD creator software for converting photos and video footages into professional mosaics rapidly. 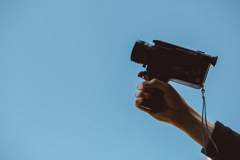 If you need to finish creating your video in a short period of time, Muvee Reveal X can help you with that because it can instantly improve the quality of your video. The 10 styles on its platform works on a wide range of high quality formats. Importing videos from your camcorder, phones and cameras is made easy by this topnotch DVD maker software. 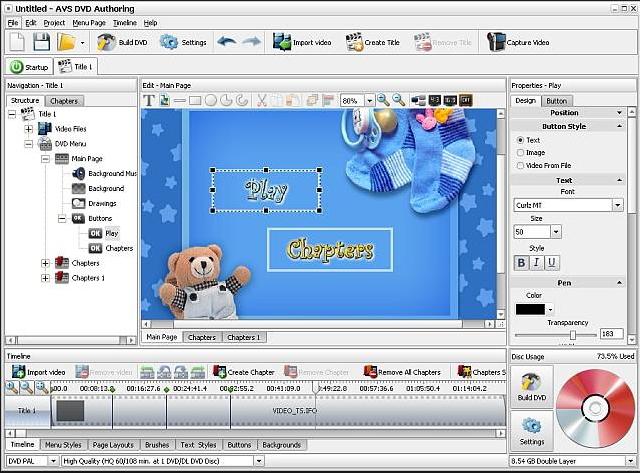 If you want to place your own backgrounds and graphic buttons on your videos, Sony DVD Architect Studio is a great choice on the best DVD making software. It allows you to make integrated music, anime thumbnails and menus, scene chaptering and submenus. 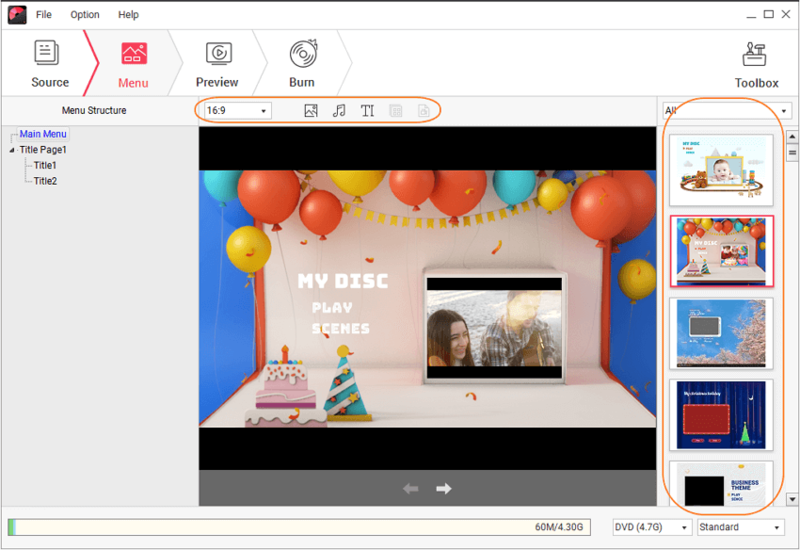 Your own touch on the themes can make your DVD videos unique and different from the others with this best DVD making software. There are people who want their things to be organized and positioned on the right place that they should be. The AVS DVD Authoring will help you in achieving this goal for your media files. It has remarkable presets that can organize your video records into a decent-looking DVD project. 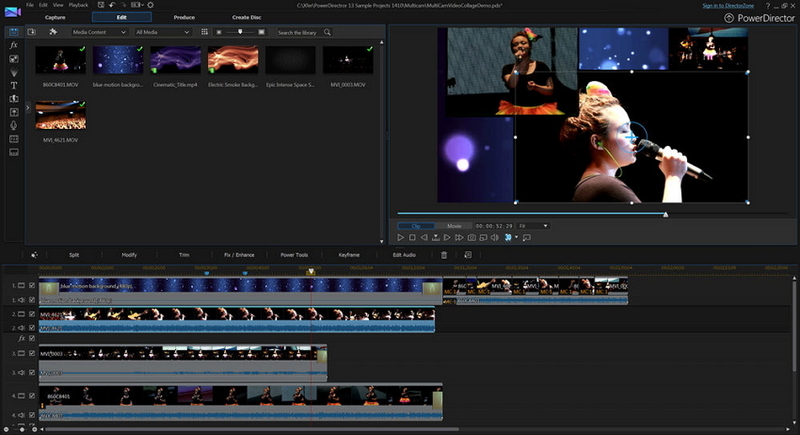 The quality of your videos can be developed as well by using the software's built-in music titles and effects. Womble EasyDVD can offer you an easy way to make your video with its free tutorials and most of all with a six step work-course. In a few clicks, you can create a high-definition DVD video that everyone would want to have. It is connected to the Womble's proficient version technology which is ideal for MPEG-2 videos this has an excellent menu outline support for first time users and even for professional DVD makers.